Asia, the largest continent, is home to two thirds of the world’s population. The peoples it contains are diverse in ethnicity, culture, language and religion. Its ancient civilisations have had immense influence on the world, and the countries of modern-day Asia continue to play a major global role. Naturally as neighbouring regions, Asia and Australia have had a long historical, social and economic relationship. Because of these relations, one of the three key areas of study that the Australian curriculum asks teachers across all subjects to focus on is Asia and Australia’s engagement with Asia. For teachers of English this means incorporating texts either by Asian writers and/or about Asian people, culture, history and stories. According to the Curriculum, a study of Asia and its literature will ‘enable students to explore and appreciate the diverse range of traditional and contemporary texts from and about the peoples and countries of Asia, including texts written by Australians of Asian heritage’. What do we gain by learning about the literature and culture of Asia? Reading and writing has always played a large role in teaching us about other peoples and cultures. Literature nurtures empathy for people with experiences vastly different from our own, and helps to develop an understanding of the way cultures and their traditions shape identity. To be Asia literate is to be aware of the breadth and depth of the Asian continent and know about its histories, traditions, and its social, political and economic structures. For Australian students, this would include learning about the strong Asian communities in Australian society and also about the migrant and refugee experiences of those who made Australia their home. Asia literacy will prepare young Australians with the skills needed to work and live in this Asian-Australian space. The result would be greater understanding and acceptance of others, deeper appreciation for the literature and art of a greatly influential region, and stronger bonds between Australia and Asia. Where do Asian-Australian writers fit in? An Asian-Australian writer or illustrator is either a person born in Australia who is of Asian descent, or a person born in an Asian country who now calls Australia home. The works of Asian-Australian authors and illustrators illuminate the experience of belonging to two cultures and two literary traditions. Considering the texts created by Asian-Australians could be an enriching first step into studying Australia and it’s engagement with Asia. Below we have curated a list of titles and resources that address the topic of Australia’s engagement with Asia. Though the resources are linked to certain year levels, the activities are designed to be easily adaptable to other year groups. 1. The Peasant Prince by Li Cunxin and Anne Spudvilas. Li Cunxin’s bestselling memoir Mao’s Last Dancer was turned into a picture book for children. Students will compare the three major settings of the story by following Li’s journey from a village in China, to Beijing, and then to America. There is an option to compare The Peasant Prince with Anh Doh’s The Little Refugee, and you will finish the unit by teaching students about the traditional techniques illustrator Anne Spudvilas used to create the illustrations. 2. The Boat by Nam Le. Short stories are excellent texts for study, not just because of their length, but because of the complexity of ideas and structure the form requires. Nam Le’s The Boat, published to international critical acclaim, is a meditation on the author’s Vietnamese heritage. Born in Vietnam, he travelled to Australia by boat with his parents when he was a baby. He names his parents as his greatest inspiration for ‘their choices and sacrifices’ and this is evident throughout the book. Of the seven stories in the collection, the first and last are specifically related to Vietnam. 3. Mahtab’s Story by Libby Gleeson. Author Libby Gleeson was inspired by her meeting with a young refugee girl to tell this story of a family who flees Afghanistan, journeys through Pakistan and then boards a boat to Australia. The way Australia as a nation treats refugees is a topical way of thinking about the way we engage with Asia and its people. This is a wonderful story for teaching empathy to young people. 4. 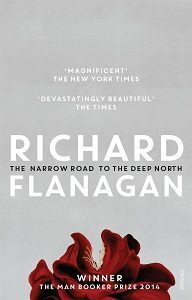 The Narrow Road to the Deep North by Richard Flanagan. Flanagan’s Booker-winning novel is an important piece of Australian literature that interrogates the way trauma affects Australia’s engagement with Asia. Based on the experiences of his father who was forced to work for the Japanese on the Thai-Burma railway as a prisoner of war. The novel details the illness, starvation, despair and unimaginable brutality the POWs endured, as well as provides a glimpse into the life of a Japanese officer during and after the war. 5. 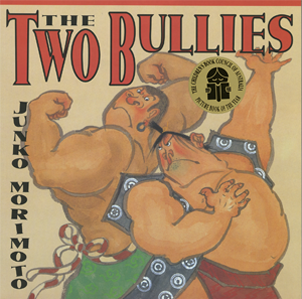 The Two Bullies by Junko Morimoto. Morimoto’s picture book about Ni-ou, the strongest man in Japan, and Dokkoi, the strongest man in China, is based on a traditional Japanese fable. Students learn about the tradition of sumo wrestling and other aspects of Japanese culture. 6. 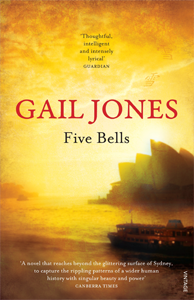 Five Bells by Gail Jones. One of the four perspectives we see in Five Bells belongs to Pei Xing. As the day unfolds, we learn about her experiences of the Cultural Revolution in China: the loss of her parents, her imprisonment and physical torture, and her ‘re-education’. We also see what her life is like as an elderly Chinese woman living in Sydney – the city is at once a safe haven and a place of isolation. 7. 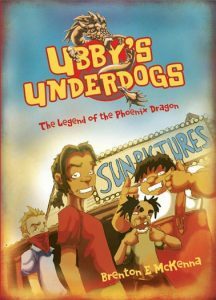 Ubby’s Underdogs: the Legend of the Phoenix Dragon by Brenton McKenna. Sai Fong is Chinese girl who arrives in 1940s Broome with her uncle and embarks on a series of adventures with Ubby, an Aboriginal girl, and the rest of the Underdogs. In this first graphic novel in the Ubby’s Underdogs trilogy Indigenous illustrator, Brenton McKenna, blends Aboriginal and Chinese mythology to create a story about dragons, magic and multiculturalism. 8. The Divine Wind by Garry Disher. The friendship between Hart, Alice, Jamie and Mitsy is tested when Mitsy and Japanese family endure intolerance and racism from the Broome community in which she lives. 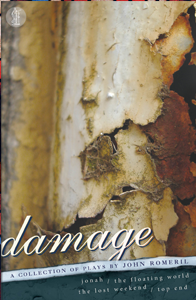 The title of this novel is a reference to a 1281 typhoon that destroyed the Mongol fleet thereby saving Japan. 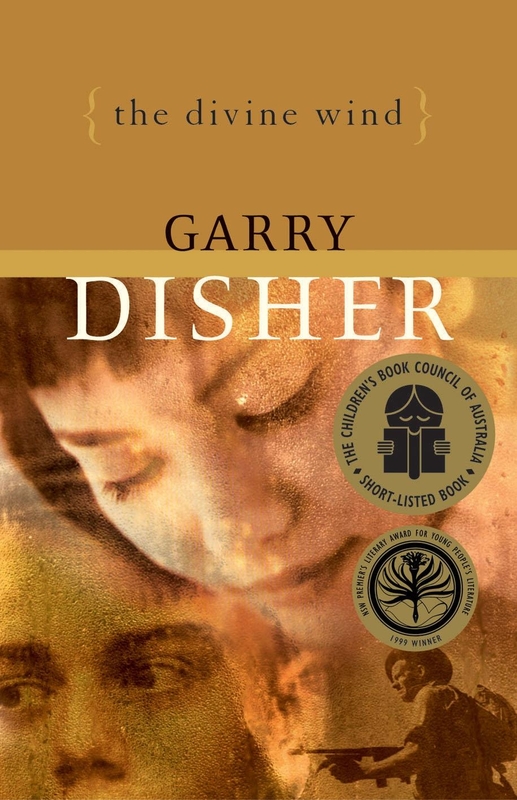 This metaphor of miracles and violence is felt throughout Disher’s novel, which is interested in the way Japanese-Australians were treated before and during World War II. 1. The Deep: Here Be Dragons by Tom Taylor and James Brouwer. 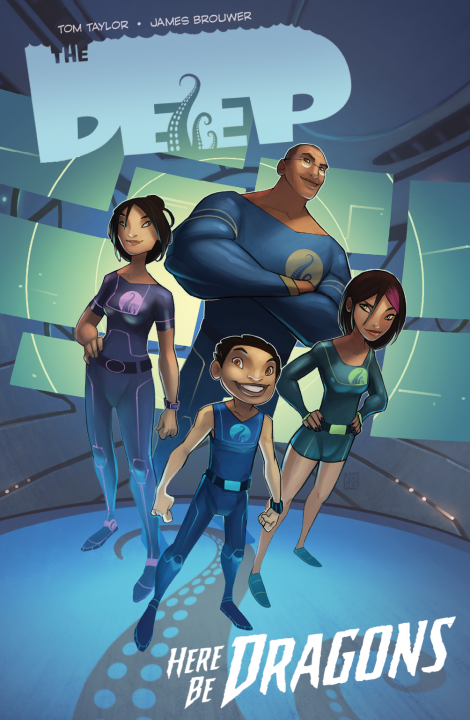 This graphic novel is centered on the Nektons, a multicultural family of underwater explorers made up of a black father, Asian mother and their two children. Great for exploring representation and diversity. 2. 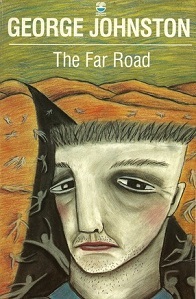 The Far Road by George Johnston. Johnston, a distinguished war correspondent, wrote this novel after his journey through China towards the end of WWII. He was haunted by the devastation he witnessed and his writing explores this tragic part of China’s history. 3. The Arrival by Shaun Tan. Though this wordless graphic novel does not directly depict an Asian perspective, it poignantly represents the general immigrant/refugee experience. Plus, Shaun Tan, who is of Asian heritage and originally from Perth, is a significant Australian artist and illustrator and perfect for study. 4. 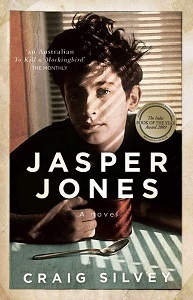 Jasper Jones by Craig Silvey. Jeffrey Lu is the best friend with a penchant for cricket whose family faces racial discrimination as backlash from the Vietnam War. An interesting discussion would be to compare how attitudes towards ethnic minorities have changed since the 1960s. 5. The Floating World by John Romeril. A former WWII prisoner of war and his wife are on board a cruise liner bound for Japan. The closer they get to Japan, the more he is tormented by wartime memories. The play reveals the effect of history on the complexities of the Australian relationship with Asia. 6. 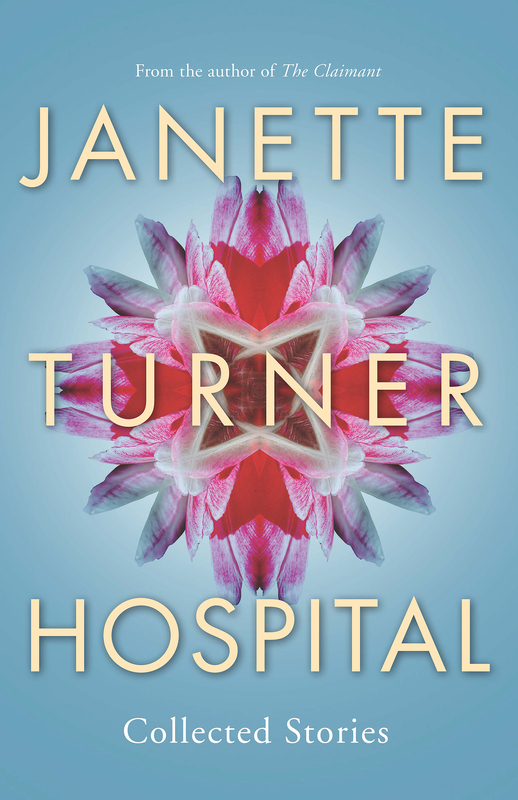 Collected Stories by Janette Turner Hospital. One of the focuses of this short story collection is the impact of cultural dislocation on individuals; of particular interest is the short story ‘Waiting’ which examines the experiences of three people in India. Thank you for reading our guide to Asian-Australian literature! We would love to hear your reading text suggestions for addressing this cross-curriculum priority. If you have any feedback, feel free to contact us on Facebook, Twitter or send us an email. Another fantastic resource for teachers to explore is the Asian-Australian Children’s Literature and Publishing (AACLAP) project.